Does adult coloring make you happy??? Or does it stress you out? I’ve been doodling A LOT this summer. I’ve had lots and lots of time on my hands as we’ve been spending most of our days at doctor appointments. Be sure to check out the Printable Coloring Books on Ninja Mom Designs Etsy. Several friends have commented that they couldn’t do what I do. But I beg to differ… you totally can do it! It’s all about shapes and lines. 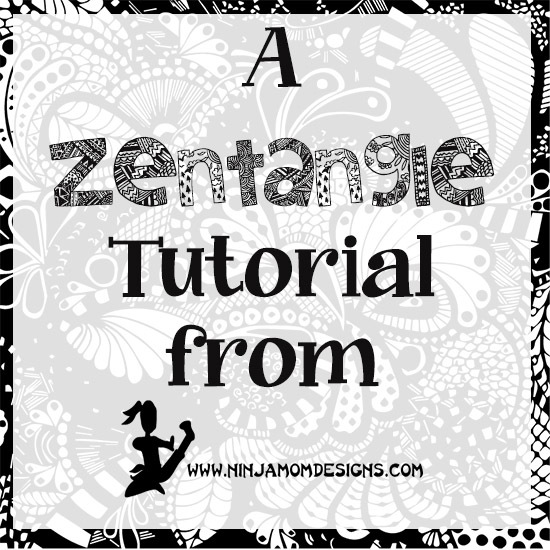 When drawing in zentangle style… think patterns. Think groups of three. Think geometric. Take a look at the image above. Top Row: The first box is simply straight lines going in different directions. The second box is just curved lines. First one row, then another slightly off set from the first. Lots of repetition. Middle Row: First Box uses negative space. When I do this one, I draw little circles throughout the space I am filling and simply color in around them. 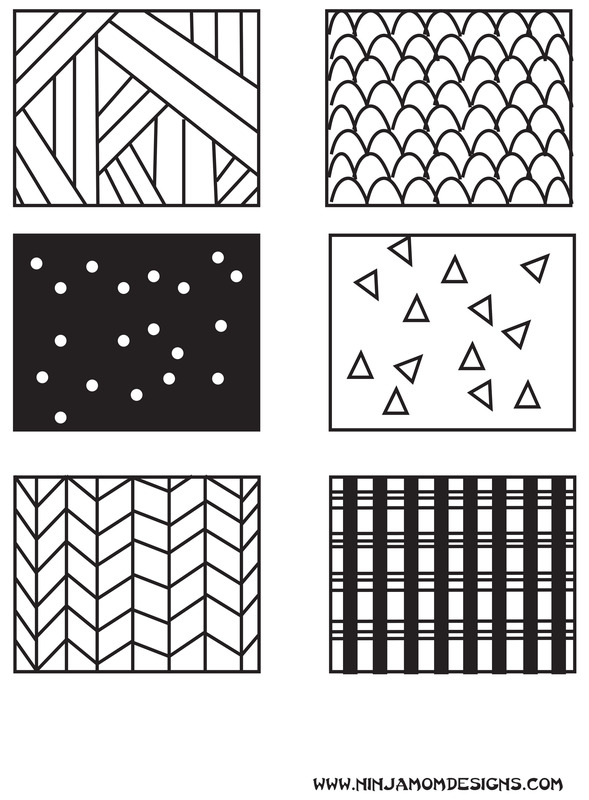 Second Box is just triangles… you could also do circles, spirals, hearts, diamonds, etc. Bottom Row: Both of these boxes are just lines. Lots or repetition/ pattern. Are you ready to try???? I’ve put together a couple of practice pages. The first one is a flower page. Try doing a different design in each petal. The second page is a heart that has been divided with lines. Try doing a different design in each section.